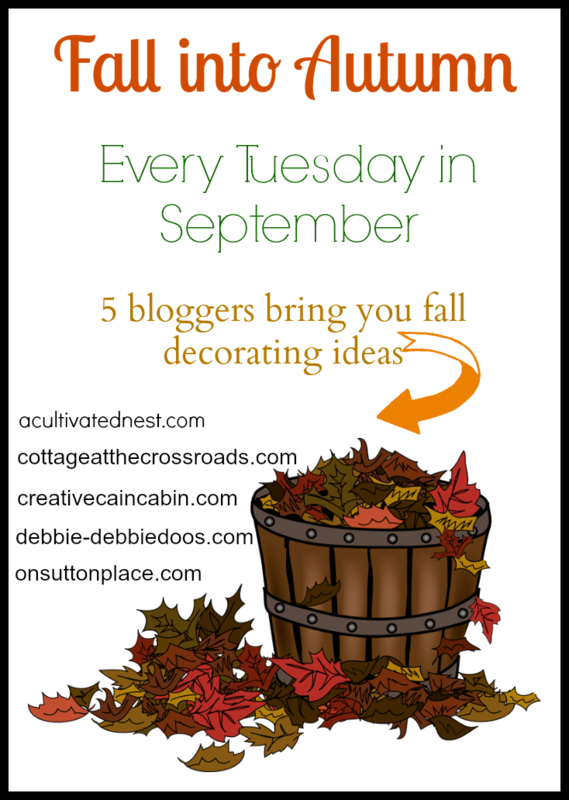 I’m popping in to let you know about a series I’m participating in that’s taking place every Tuesday in September called Fall Into Autumn. I’ve teamed up with a few of my best blogging buddies to bring you ideas and inspiration for your fall decor. Clearly we are hoping your obsession with all things Fall is as bad as ours. We all have a little bit different style so hopefully we will have something for everyone. At least that’s our goal! First on the list is Fall Mantels. We’ll have that for you next week. I wanted to also let you know that Debbie and I have decided to take a break from our Blitzed on Pinterest Link Party. We hope that over the summer you have learned a few tricks and were able to grow your Pinterest following. I know I already posted a recipe this week but I’ll be back tomorrow with another one. It’s for a Peach Cobbler that turned out to be easy and delish. Add peaches (about 8) to your grocery list and come back tomorrow for the recipe! I look forward to coming by for inspiration! ooo, fall mantels is good. In need some inspiration. My mantel has been the same since the spring. I’m looking forward to what you come up with. Tell the truth from up here, living in the foothills of the Great Smoky Mountains makes me wonder if I just might do “the tourist thing” (so popular in our area)… we find a dazzled human, in love with our mountain fall colors and sit one on our mantel! Cheap roadside find!!! That said, I am open to what you will blog abut for Fall décor. I need a change. Tourist can get messy after a few days. So happy to be teaming up with you guys and I can’t wait to see everyone’s mantels! Looking forward to the fall series. And mantels to be the first! I live in a hundred year old craftsman and my mantle has three sides. That can be a bit challenging! Fun! I could use some ideas!!! 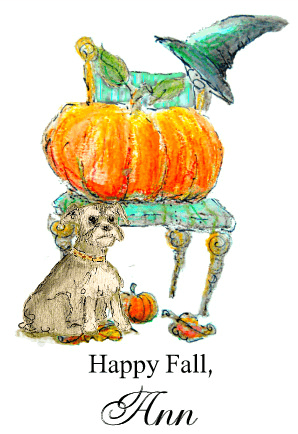 Ann I can’t wait to see everything you are going to do for fall decorating. I know it will be great!! Great interview today, I enjoyed learning more about you. You can’t have potato chips in the house and it is cookies for me. Only during the holidays do I have them. I am addicted to cookies, LOL!!! On another note, I haven’t been able to use Pinterest for months. I have been fighting with them over this for months too. UGH!! !